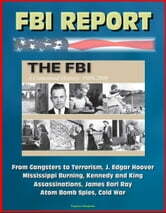 Here is a comprehensive history of the Federal Bureau of Investigation. On July 26, 2008, the FBI celebrated its 100th anniversary as a crime fighting and national security agency dedicated to protecting America and the international community from a world of dangers. As you will see, since its earliest days there really hasn't been the investigative equivalent of a dull moment for the FBI. Each point in Bureau history has had its own cast of colorful characters, its own investigative challenges and controversies, its own milestones and major cases. Here on these pages, for example, you will read about that warm summer night when, with FBI agents closing in outside the Biograph Theater in Chicago, the hard-bitten bank robber John Dillinger drew his gun for the last time. You will come across secret-stealing spies, with their hidden messages in hollowed-out nickels and childrens' dolls. You will encounter historic figures like Charles Bonaparte, the progressive attorney general who got it all started, and J. Edgar Hoover, the long-lasting director who turned the FBI into a household name. You will find Watergate and Waco, Murder Inc. and Mississippi Burning, Al Capone and al Qaeda. 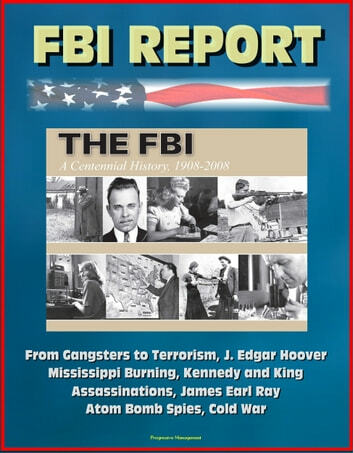 But if you look over the full sweep of FBI history, you will see an organization that has come a long way—starting as a tentative experiment, maturing and evolving at every step, learning from successes and stumbles alike, gaining experience from the latest threat du jour—from gangsters to mobsters, from spies to serial killers, from Internet predators to international terrorists. Over the century, the FBI has constantly added to its investigative and intelligence tools and talents—launching a Disaster Squad one decade, a "Most Wanted" list the next; a computer forensics team one decade, a terrorist fly team the next—each innovation building on the last like so many foundation stones. Topics covered include: Gangsters, the Cold War, J. Edgar Hoover, the Osage Hills murders, Civil Rights, the Ku Klux Klan, Mississippi Burning, Al Capone, Barker, Lindbergh kidnapping, Dillinger, Hiss, Atom Bomb Spies, the JFK, RFK, and MLK assassinations, James Earl Ray, and much more.